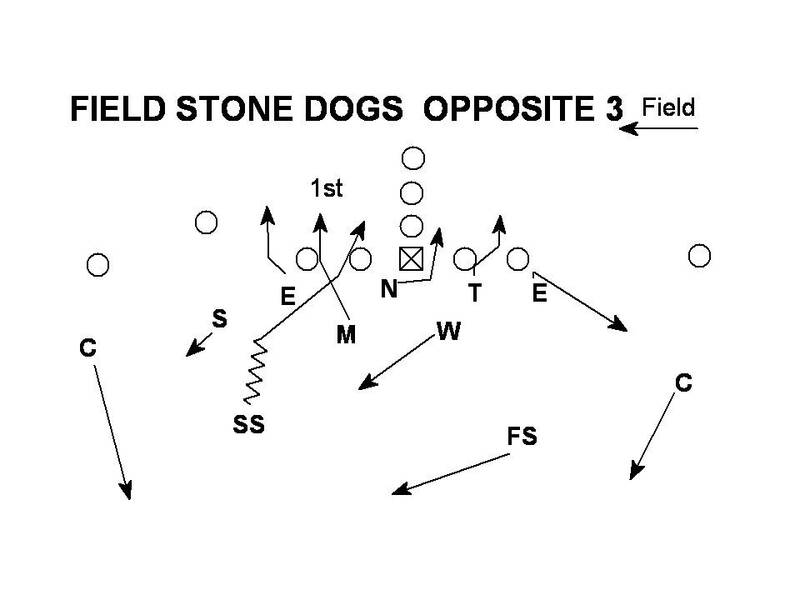 Two more blitzes from the Oklahoma arsenal are Field Slam Dogs (Opposite) 3 and Field Stone Dogs (Opposite) 3. 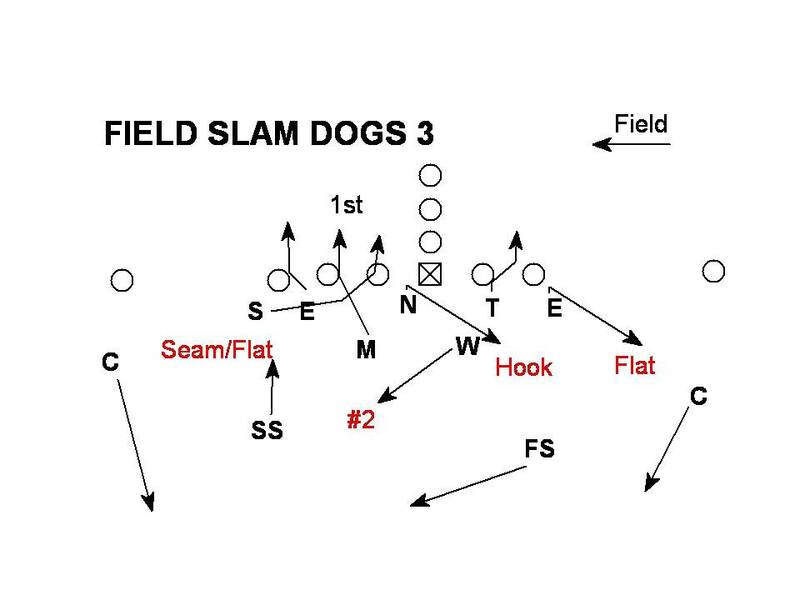 Both blitzes can be found in the 2002 Sooner playbook here and build on the concept Field Rip Dogs (Opposite) 3 which was covered in the previous post. 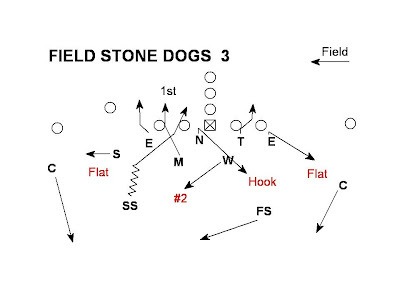 Both blitzes are run from the Field front with the 3 technique aligned into the boundary. 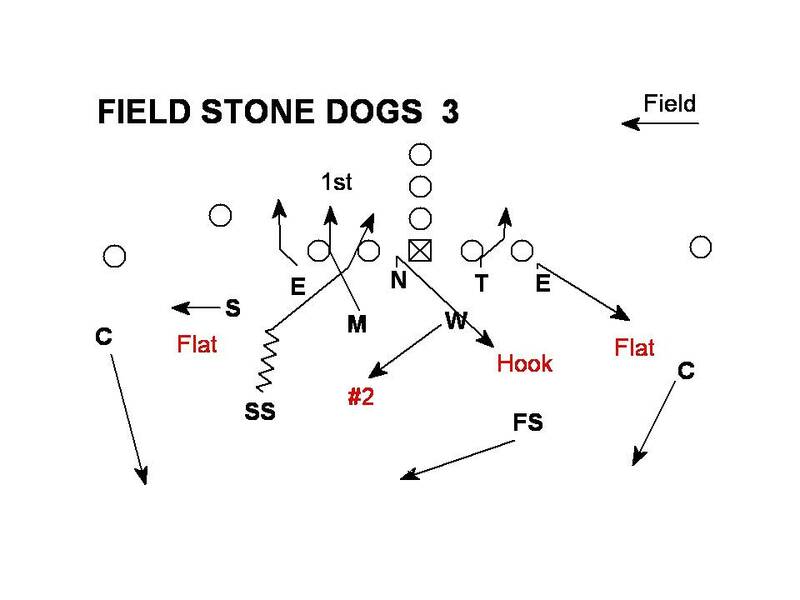 The coverage is identical to the 4 under 3 deep coverage used to cover down behind Rip Dogs. 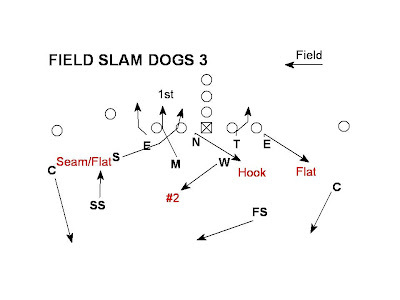 The blitz is an overload to the field with the Sam and Mike on an interior X stunt with the Mike going first. 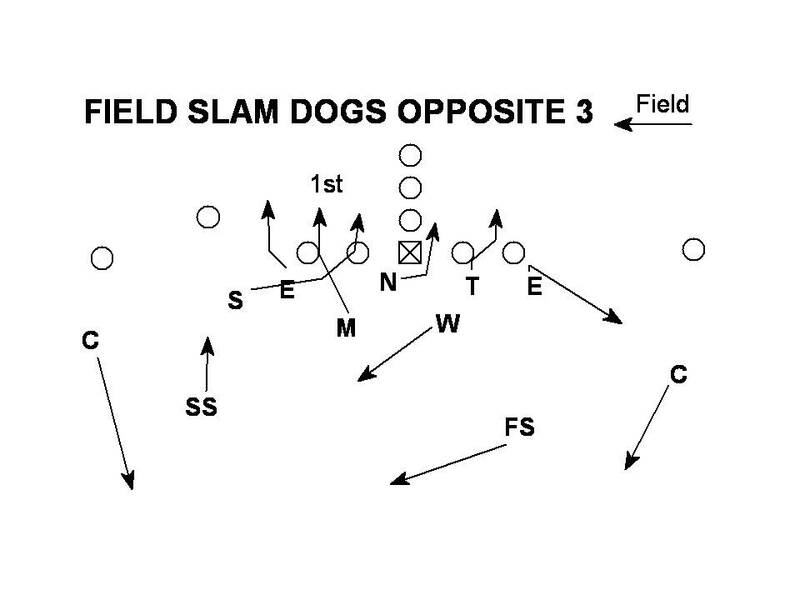 Vs. a Te to the field the Sam executes the blitz from an under alignment. 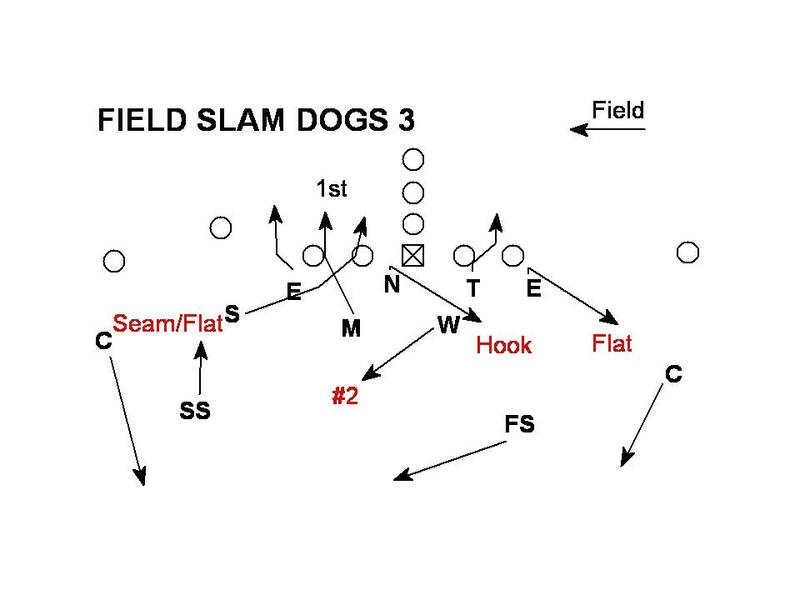 Slam Dogs requires the same "Eddie" coverage check vs. a removed number #2 receiver to the boundary that Rip Dogs utilized. 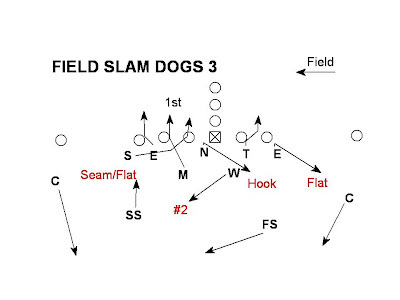 Slam Dogs can be turned into a 3 under 3 deep pressure with the addition of an "Opposite" tag. 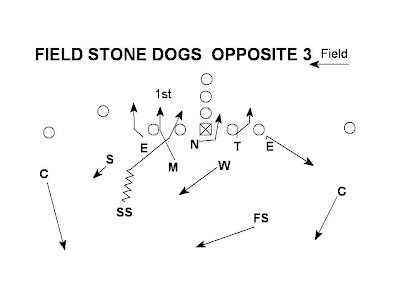 The second blitz is Field Stone Dogs (Opposite) 3 which is a similar interior X blitz concept to Slam Dogs. The SS exchanges responsibilities with the Sam and becomes the 2nd blitzer. The Sam replaces the SS in the field side Seam/Flat Drop. 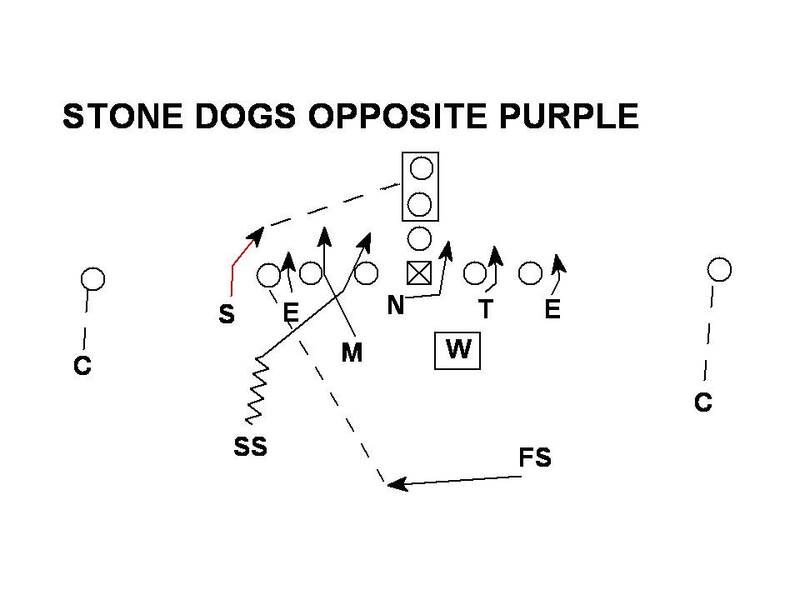 Stone Dogs still requires the "Eddie" check and like Rip and Slam can be tagged with and "Opposite" call. 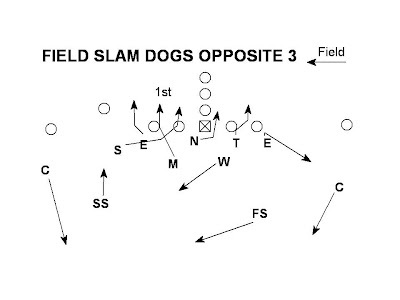 The Sooners also integrate these same blitzes into their man coverage blitz package. The Sam is rushing and must peel off with any running back releasing to his side. 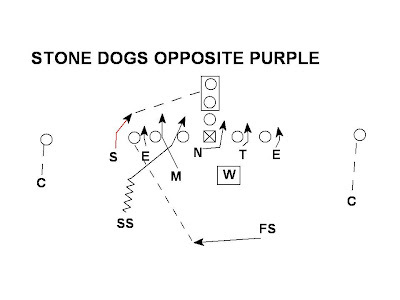 The Will linebacker has man coverage responsibility for any back releasing weak.